Who doesn’t love bubbles! While you can make bubble mixture out of dish soap and water they tend to pop as soon as you have blown them which can be disappointing. Below are five super bubble recipes that will take bubble blowing to the next level by creating longer lasting bubbles. 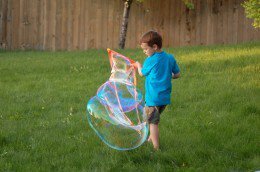 What I love most about these links are all of the fabulous ideas to extend your bubble play from glowing bubbles to bubble art. This is a basic recipe made from water, dish soap and oil. Follow this link to find out how as well as some fantastic bubble wand ideas using things that you can find around the house. 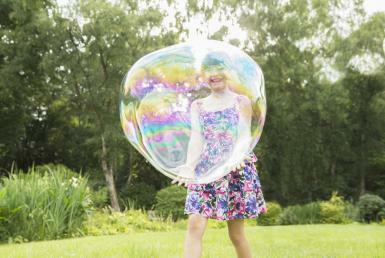 You can also find fun ways to extend the bubble play such as making bubble art! Click here to find this corn syrup bubble mixture. This link also has instructions on how to make some super cool glowing bubbles! Another great mixture from pantry items you will most-likely already have on hand at home. 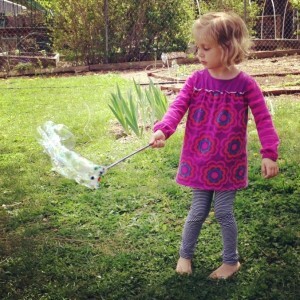 The Artful Parent also has a great tutorial on how to make bead wands. As far as bubbles go the bigger the better I say! 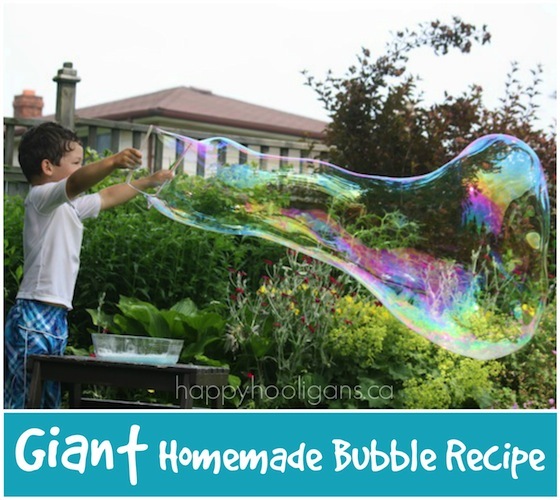 Happy Hooligans has the perfect bubble recipe for super giant bubbles made from dish soap, water, corn starch, baking powder and glycerine. There is even instructions on how to make your own giant wand. While doing my search on diy bubble mixture I came across many that were made from dish soap, water and glycerine so I figured this list wouldn’t be complete without a glycerine bubble recipe. 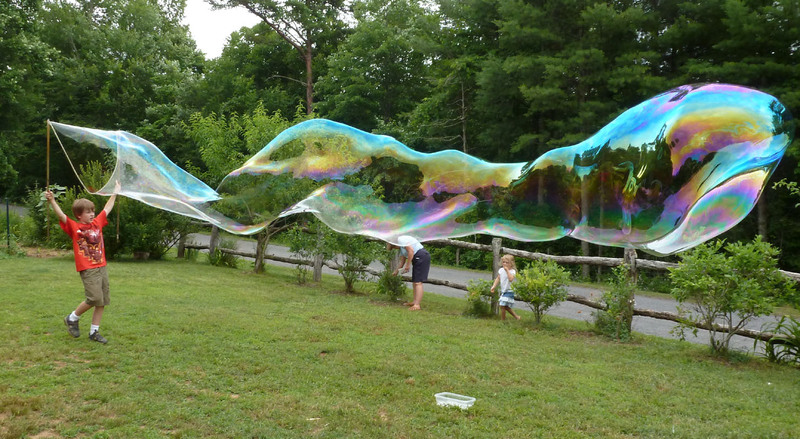 This is a great site if you are interested in some extra scientific information about bubbles. Also included is a short video showing the bubble mixture in use. Click here to find out how to make a bubble solution using glycerine.